This podium comes fully assembled when shipped. All you have to do is attach the wheels. 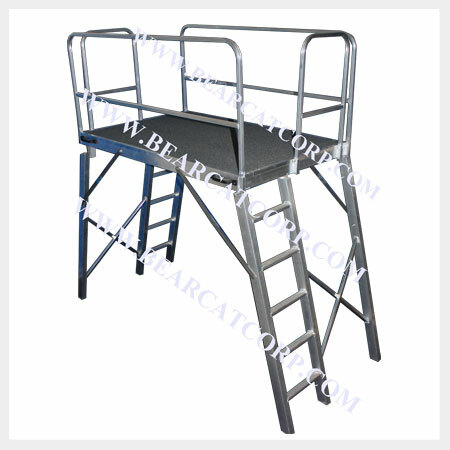 Features include a 4’x6′ carpeted platform, dual ladders and removable safety rails. It collapses for easy storage or it can be manually pulled in the “up” position. This podium ships via freight. *Freight costs are additional and not included in product price.